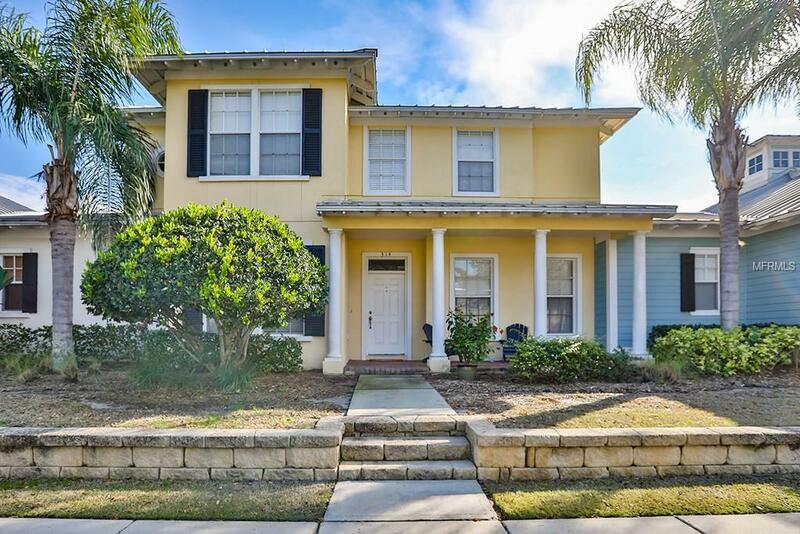 Spacious Compass Pointe townhome in family friendly community of MiraBay located walking distance to all the resort style amenities featuring the two pools, clubhouse, cafe, gym, tennis, pickleball and basketball courts. This is the perfect place to enjoy all of what MiraBay has to offer with no exterior maintenance. The home features the main living area downstairs with a den and half bath, all with tile floors. There are 3 bedrooms, 2 baths with wood laminate in the spacious master suite. and the laundry room upstairs. Carpet in 2 guest bedrooms. Den could be a 4th bedroom. Two car garage and patio area off the kitchen complete the layout. Pet Restrictions: 2 pet limit, 50 lbs max pet weight.